WASHINGTON, Aug. 29, 2017 /PRNewswire-USNewswire/ — Presiding Bishop of the Church of God in Christ, Inc. (COGIC), Charles Edward Blake Sr. and legendary GRAMMY® award-winning powerhouse, Pastor Shirley Caesar are set to headline the Congressional Black Caucus Foundation, Incorporated’s (CBCF) Annual Legislative Conference (ALC) Prayer Breakfast, September 23, 2017, from 7:30 a.m. – 10:00 a.m. at the Walter E. Washington Convention Center in Washington, D.C. This year’s ALC honorary co-chairs are Congressman Marc Veasey from Texas and Congresswoman Robin Kelly from Illinois. Celebrating faith, freedom and resilience, this year’s event will introduce a creative worship experience with liturgical dancers Stacy J. & Unified Praise from Houston, Texas and will also feature a performance by the Great Commission Baptist Church Choir from Ft. Worth, Texas. The CBCF is honored again to have this year’s Prayer Breakfast sponsored by The Coca-Cola Company. Bishop Charles E. Blake, Sr., is the Presiding Bishop of the Church of God in Christ, Inc., a 6.5 million-member Pentecostal-Holiness denomination. In 2009, Bishop Blake was invited by President Obama to serve on the White House Advisory Council on Faith-Based and Neighborhood Partnerships. As founder and former CEO of Save Africa’s Children, Bishop Blake helped to support more than 200,000 children in 400 orphan care programs in more than 23 African nations. Bishop Blake is an ardent advocate of education and academic excellence, holding multiple academic and honorary degrees from various educational institutions. Pastor Shirley Caesar is a music icon. 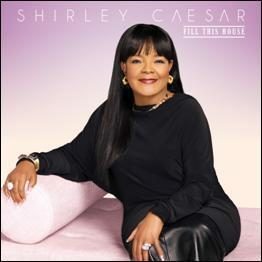 Known as the “First Lady of Gospel Music,” Pastor Shirley Caesar is one of the most recognized names and voices of gospel with Pastor Caesar has won 11 GRAMMY® Awards, 14 Stellar Awards, 18 Dove Awards, has been inducted into the Gospel Hall of Fame and has a star on the Hollywood Walk of Fame. “Music is my lifelong service in ministry. I am excited to be part of the CBCF’s Prayer Breakfast and hope that listeners will feel the love, embrace the strength and be inspired to keep rising through the tough times,” said Pastor Shirley Caesar.